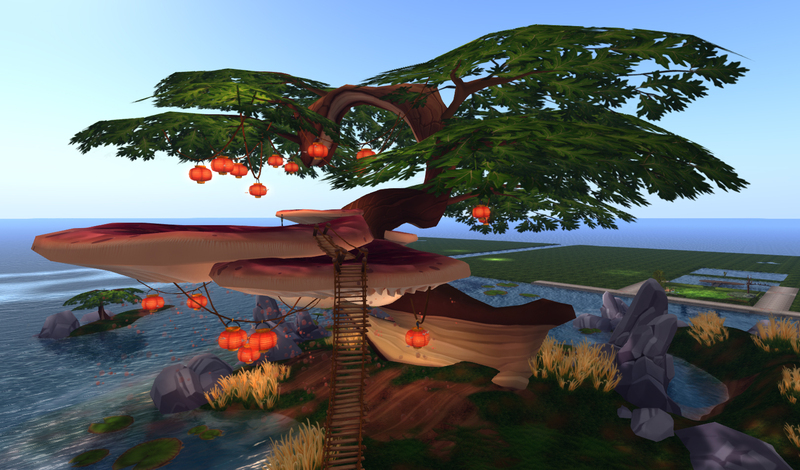 Designing Worlds’ final visit to the SL10B Community Celebrations is available on the web! Now available on the web (after a few glitches!) our final we celebrate Second Life’s Tenth Birthday with the third and last of our programmes from the Community Celebrations! We talk to some of the people who made SL10B so special – Yavanna Llanfair who created the wonderful podcar tours, AineMarie Flanagan with her beautiful Sotrybook exhibition, DrFran Babcock who displayed her amazing spoons collection and we catch up with our old friends from Arcachon who tell us about their taste of their own little corner of France. And we’ll be take in the iconic builds of The Cornfield and Bear Island before signing off from the last of the four stages – the Lake Stage. This was the last show in Designing Worlds’ current season, and we are now on our summer break. But we’ll be back in late August with another great season!